Nepal Bhutan 10 days 9 nights Tours combine tours of 4 days in Nepal which you will do the Kathmandu Day Tour and Pokhara Day Tour, and, 6 days in Bhutan which you will visit to the major attractions of Paro and Thimphu. It is quite impossible to design a cultural combo program that includes the best attractions of Nepal and Bhutan. Nepal Bhutan 10 days 9 nights Tours takes on a magical journey to explore culture, lifestyles and people of two smallest Himalayan countries. The program offers sightseeing tours of world heritage sites in Kathmandu before heading towards the beautiful lake city of Pokhara. In Pokhara, a myriad of adventures await you from paragliding and boating to city sightseeing. Up next, board on a flight to Thimphu in Bhutan from Kathmandu. 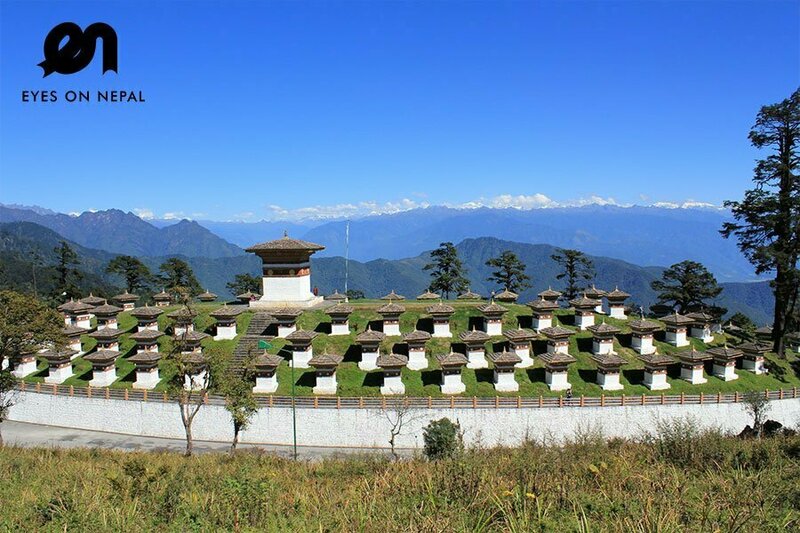 You will go on a sightseeing tours of Paro, Punakha, Thimphu and other touristic attractions. 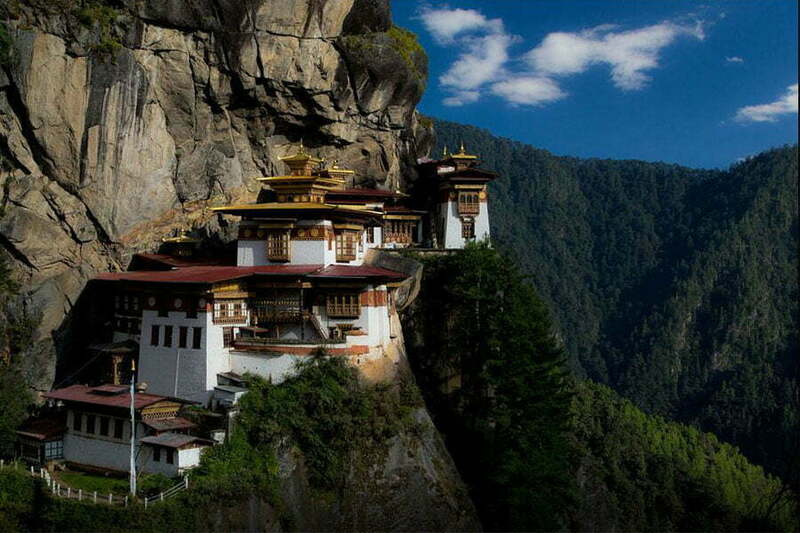 Bhutan Tour Package from Nepal 4 days 3 nights | Paro & Thimpu – Best Seller! Day 1: Arrival : Kathmandu Airport – Thamel! Day 5: Nepal - Bhutan - Paro | International Flight from Nepal to Bhutan ! Day 7 : Paro - Thimphu: Thimphu sightseeing tours! Day 10: Paro - Kathmandu | International Flight from Bhutan to Nepal! 00.00pm: Check in. Rest & Relax. Free & easy after check in. NOTE:Dinner at own expenses. 06.00pm: Dinner at Gokarna House restaurant with Nepalese Cultural Dance performances. 07.00pm: After dinner, back to hotel. Rest & Relax. Highlights: Phewa Lake Side + snow-peaked mountains across the lake. 09.00am: Check out hotel. Pick up from your hotel and drive to Pokhara. Journey will take 8 hours. Lunch en route at Highway Restaurant. 03.00pm: Arrive in Pokhara. Check in hotel. Welcome drink. Rest & relax. NOTE: The hotel located 5 minutes away from the amazing Phewa Lake, you can visit Phewa Lake at own leisure. No entrance fees required. 05.15am: Wake up and prepare for drive to Sarangkot (1542m) for Amazing Sunrise view. It will take around 45 minutes to arrive in Sarangkot. You can see the Amazing view of sunrise with mountains’ views. You will see the snow-capped mountains like Fishtail, Annapurna, Lamjung Hilam, and Dhaulagiri (8167m), and Himchuli etc. 07.00am: After sunrise, back to hotel. Breakfast at hotel. 09.00am: Pick up and depart to Paragliding starting point. You will start your 45 minutes Paragliding tour after a short briefing by the pilot. Pokhara in Nepal is the world’s best paragliding spot in the world with amazing view of Annapurna range of mountains and beautiful landscape around Pokhara valley, virgin Mt. Fishtail (Machhapuchhre), LamjungHimal, Annapurna, Himal, Himchuli, Phewa Lake, Rice field, rivers and settlements. 11.00am: You will land by the Phewa Lake, pick up and back to hotel. Check out hotel. 12.00pm: Lunch in Thakali Kitchen Restaurant. NOTE: Nicest Thakali Dhal Bhat(Typical Nepalese food) in Pokhara according to locals and tourists. Davis Fall: A waterfall located at Pokhara in Kaski District. An interesting aspect is the water from the fall flow about 500 feet through the natural tunnel at the depth of 100 feet from ground level. 06.30pm: Depart to Kathmandu. NOTE: Journey will take around 6 hours. Dinner en route. 12.30am: Arrive in Kathmandu, check in hotel, welcome drink. Rest & relax. 11.30pm: Check in hotel with welcome drinks. Free & easy. 06.00pm: Back to hotel & dinner in the hotel. 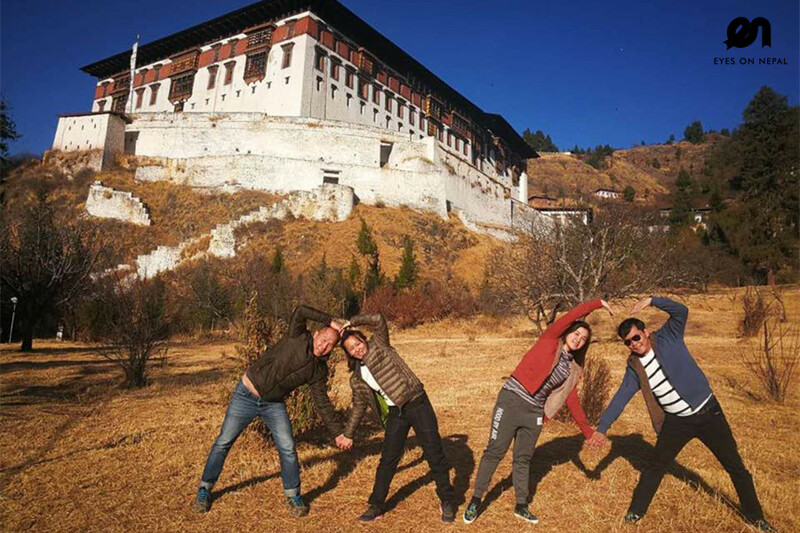 03.00pm: Then travel back to your hotel, on the way visiting Kyichu temple,one of the 108 temples built in the 7th century by the Tibetan King Songsten Gampo. The story goes that a giant demon lay across the whole area of Tibet and the Himalayas and was preventing the spread of Buddhism. To overcome her, King Songtsen Gampo decided to build 108 temples, which would be placed on all the points of her body. Kyichu Temple is one of the 108 temples. 08.00am: Check out hotel and depart to Thimphu (capital city of Bhutan). 09.00am: Arrive at Thimphu, check in hotel with welcome drinks. Free & easy. Big Buddha – Kuenselphodrang (commonly known as Buddha Point) where the largest Buddha statue in the country is perched on the hillock overlooking the Thimphu Valley and you can also enjoy 20-30 minutes nature hike through Kuensel Phodrang Nature park and enjoy the magnificent few of Thimphu Valley and mountain peaks. Thimpu Dzong – Bhutan King’s Office, only allow to visit after 5pm. 07.00pm: Dinner in the hotel, Free & easy after dinner. National Post office Bhutan – You can make your own set of stamps at own expenses. 11.30am: Arrive in Punakha via Dochula Pass (3100 m). Check in hotel. Chimi Lahkhang – (Temple of Fertility) built in the 15th century by the ‘Divine Madman’ (Lama Drukpa Kuenley). Hike to Khamsum Yuley Namgyel Chhorten – If time permited, you will hike to Khamsum Yuley Namgyel Chhorten. Description: The Khamsum Yuley Namgyel Chhorten, lies approximate 7 kilometer north of Punakha. The Chorten is situated along a hill up the valley and can be reached after a leisurely hike through the woods and rice paddies. kilometer north of Punakha. The Chorten is situated along a hill up the valley and can be reached after a leisurely hike through the woods and rice paddies. 07.00pm Back to hotel. Dinner at the hotel. Note: Dinner can be outside, it depends upon sightseeing time. Rest and Relax after the dinner. 08.00am: Check out hotel and drive to Paro (with at least 4 hours drive). 12.00pm: Arrive at Paro. Lunch en route at local restaurant or at your hotel. 01.00pm: Check in hotel with welcome drinks. Free & easy. Kyichu temple – one of the 108 temples built in the 7th century by the Tibetan King Songsten Gampo. The story goes that a giant demon lay across the whole area of Tibet and the Himalayas and was preventing the spread of Buddhism. To overcome her, King Songtsen Gampo decided to build 108 temples, which would be placed on all the points of her body. Kyichu Temple is one of the 108 temples. 07.00pm: Back to hotel. Dinner at hotel. Tour ends. 06.00am: Check out hotel and depart to airport for flight to onward destination. You can choose to continue the tour in Nepal or can fly back directly to your country. ** Airport to and fro transfers. ** Petrol & Parking fees. Nepal Visa and flight ticket to and from Nepal. You will be asked to take a photo of your passport, and email to us for us to process the VISA to Bhutan, and purchased of flights ticket to and from Nepal. 50% deposit will be paid by your side either via Pay Pal or bank in to our Nepal Company account upon confirmation. We will issue the official receipt and flight ticket to and from Bhutan to you together with your Bhutan Visa. Welcome to Nepal & Bhutan. We will greet you upon your arrival in Nepal airport!